Another type III ZF41/1. This one is coded “dow”, related to Opticotechna G.m.b.H., in Prerau, Czech. For comparison wit the ZF.41 below, this ZF41/1, also coded “cxn” (Emil Busch A.-G., Optische Industrie, Rathenow), is a later type II sight. This model doesn’t use flat rollers anymore. Here is a ground-dug K.Kahles 4×60 wearing the war-code “cad”. 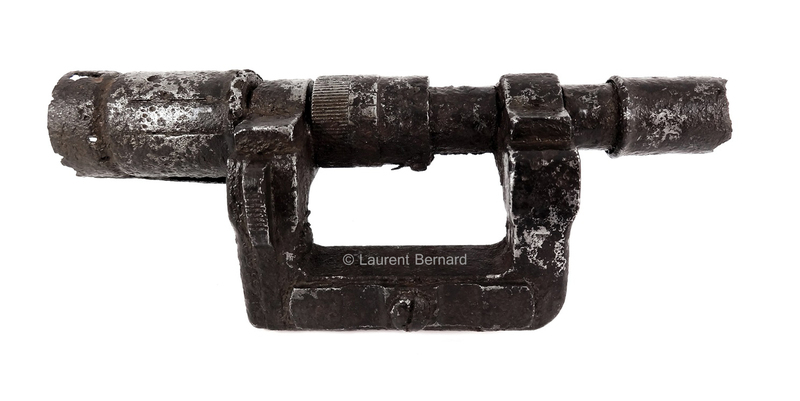 The recoil ring tells that this scope was mounted on its K98k with a LSR mount. 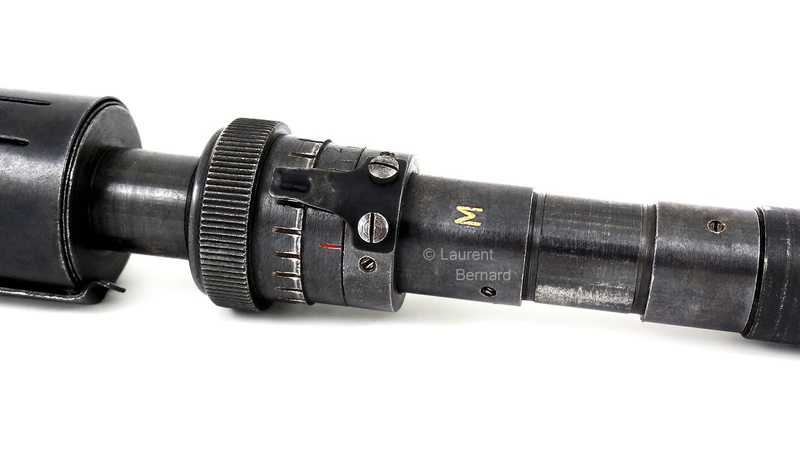 To some people, these dug scopes are just a piece of junk. For me these items are really interesting. While we’re seeing more and more fakes in our small collecting world, these pieces coming from the ground don’t lie on their history. 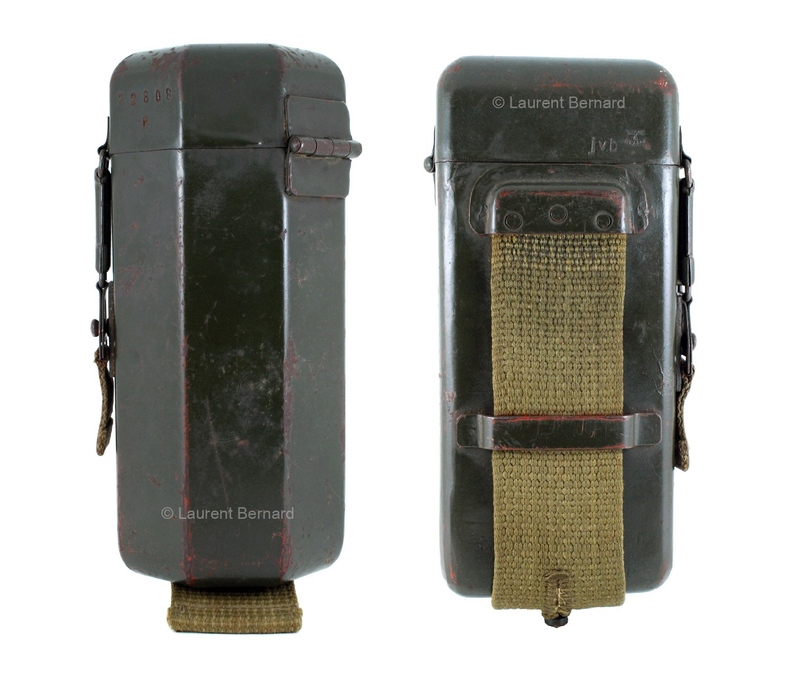 ZF.41 Carrying Can. 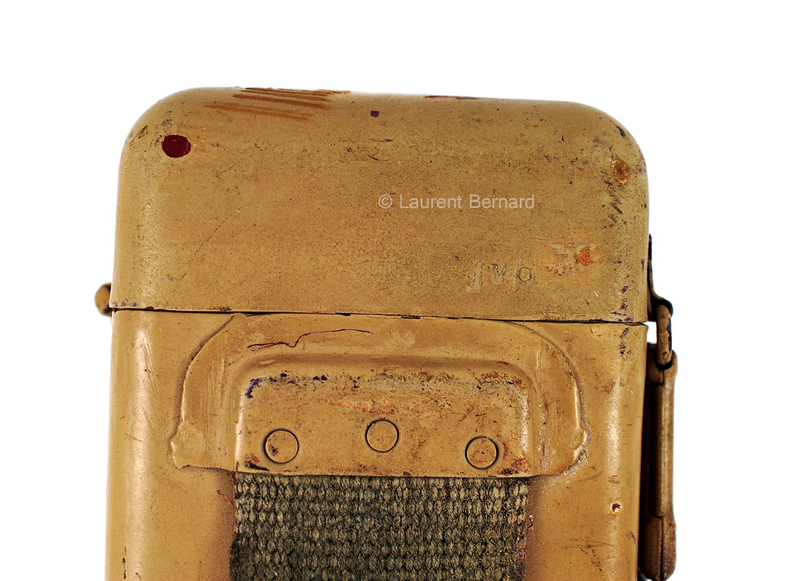 The sand color, D type ring, WaA542 and internal hinge tell us that’s a type 4 can. 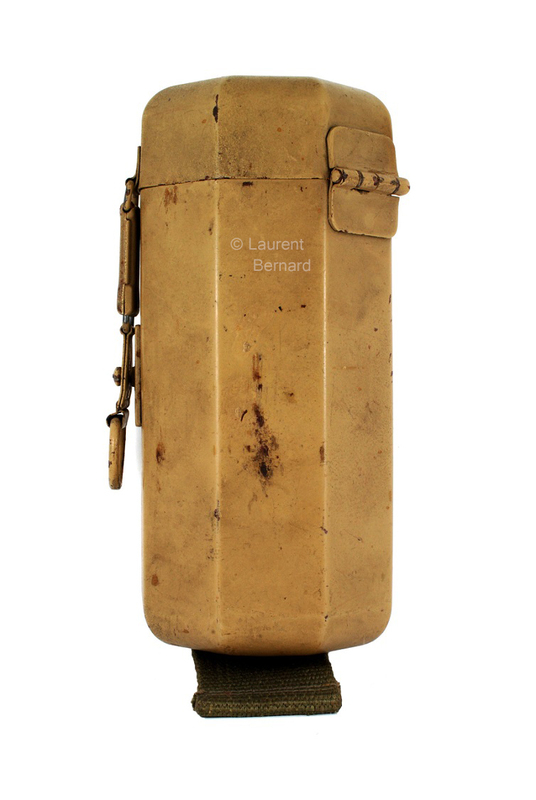 Note that the tan color was not especially issued to the Afrika Korps. 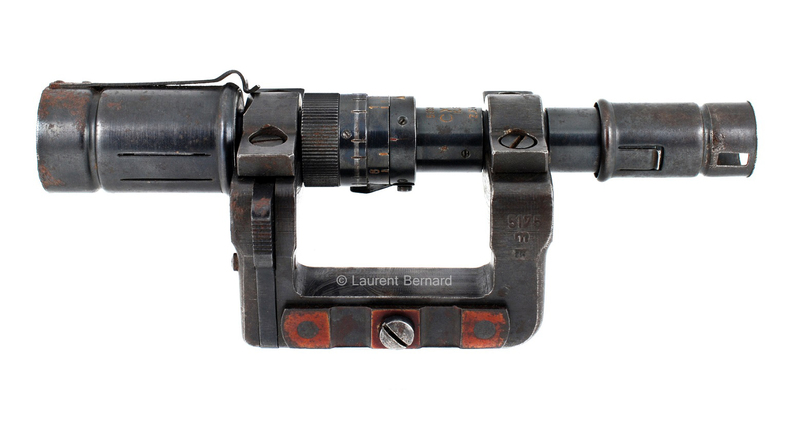 Early civilian Ajack 4×90 scope modified to be used by the Waffen SS snipers. These scopes were used on reworked G98 rifles with SSR mount. 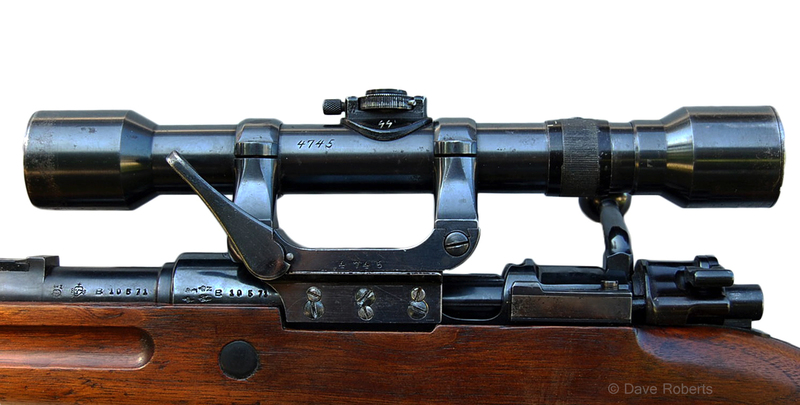 Note the typical SS 1-3 meter dial and the rifle numbed engraved on the scope main tube. 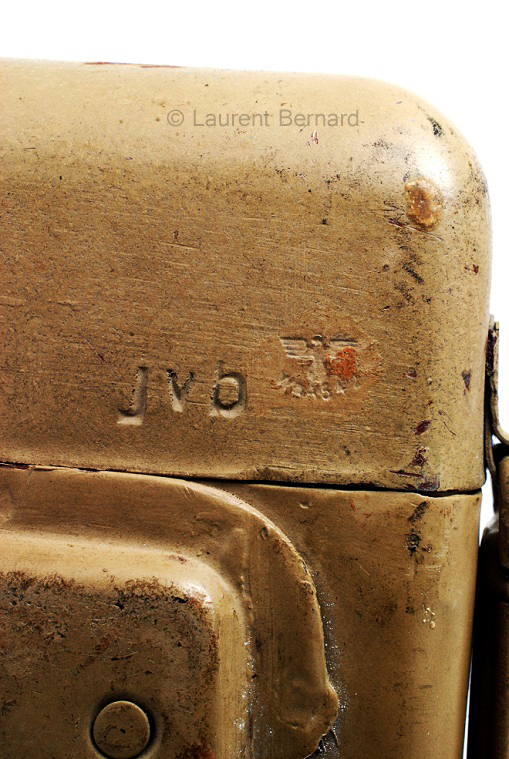 On the other side of the elevation turret should be a skull and cross bones along with SS runes and the marking “Diesntglas” but it was erased post-war on this scope. 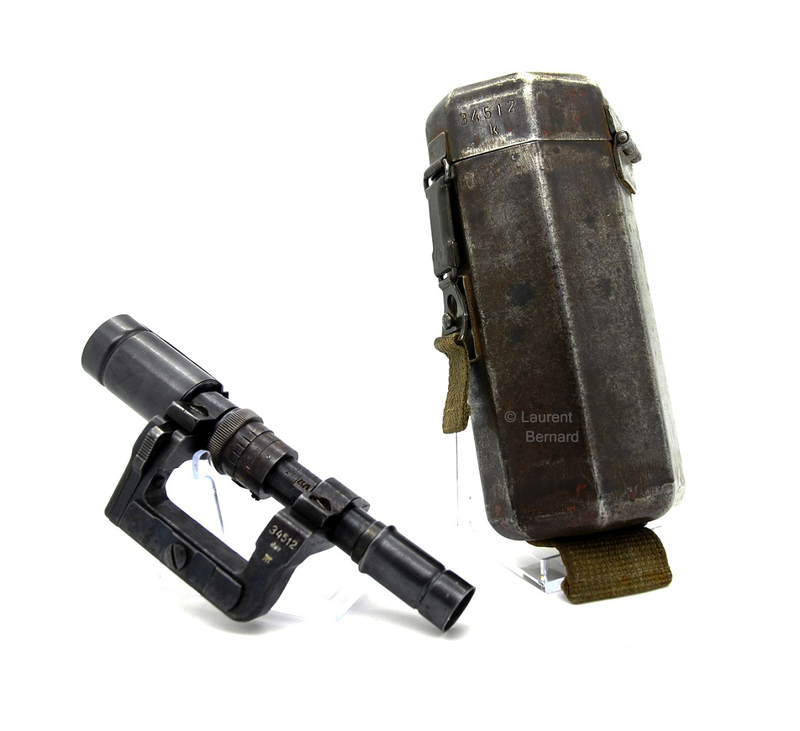 Here we have a matching ZF.41 telescopic sight and carrying can. Unfortunately, the set misses the klarinol cloth and dust brush to be complete. 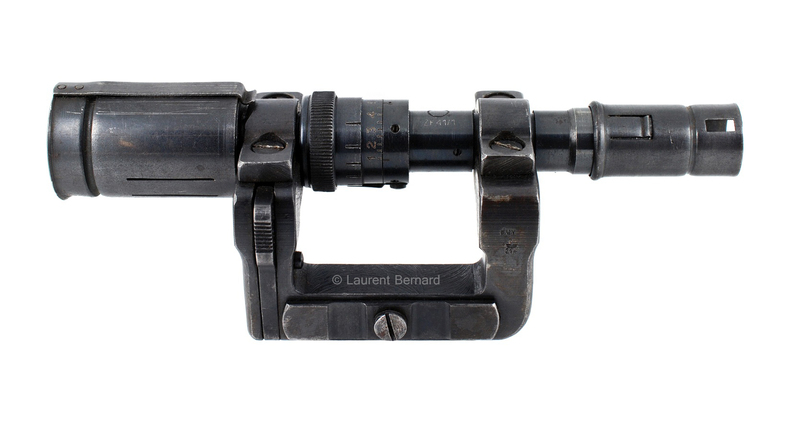 The ZF.41 wears the code “cag”, corresponding to the manufacturer Swarovski Optik in Austria. 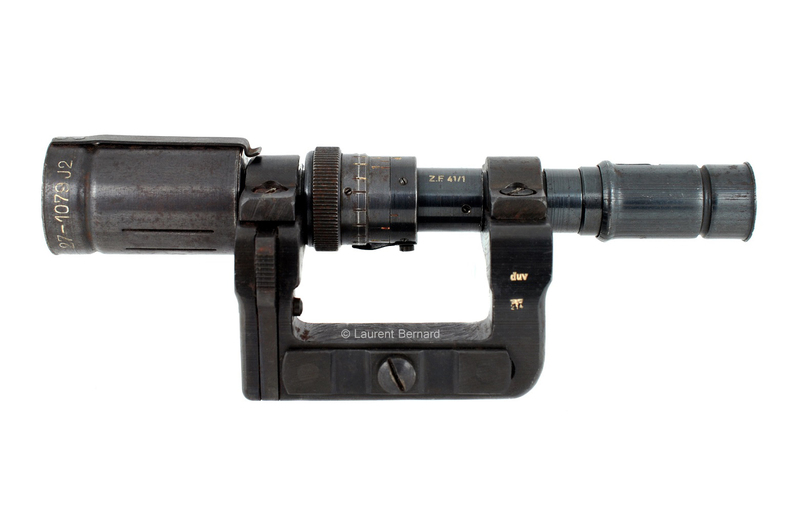 H/4×60 sniper scope made by Karl Kahles manufatcurer in Vienna. 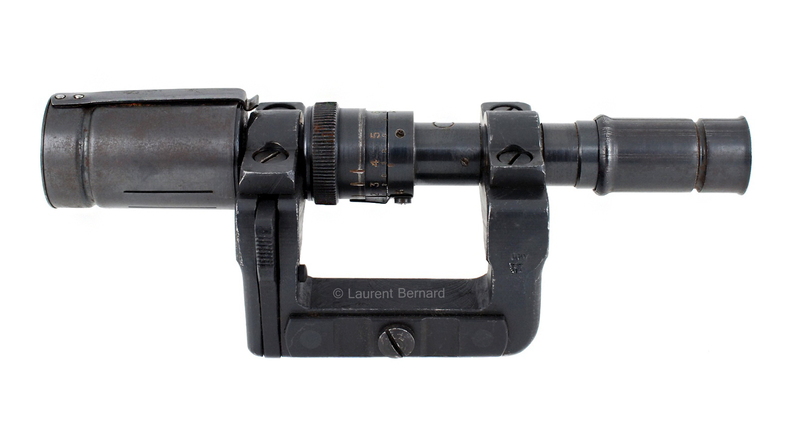 This model was fitted with a recoil ring to be used with the long lateral side mount (LSR) on K98k sniper rifle. Later, these “H/4×60” and Kahles logo were replaced by the war code “cad”.